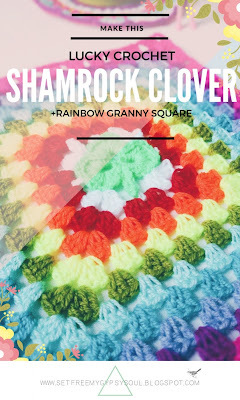 Celebrate St. Patrick's Day and add a little Irish Charm to your crochet projects with this cute and really easy little Shamrock Clover and Rainbow Granny Square. 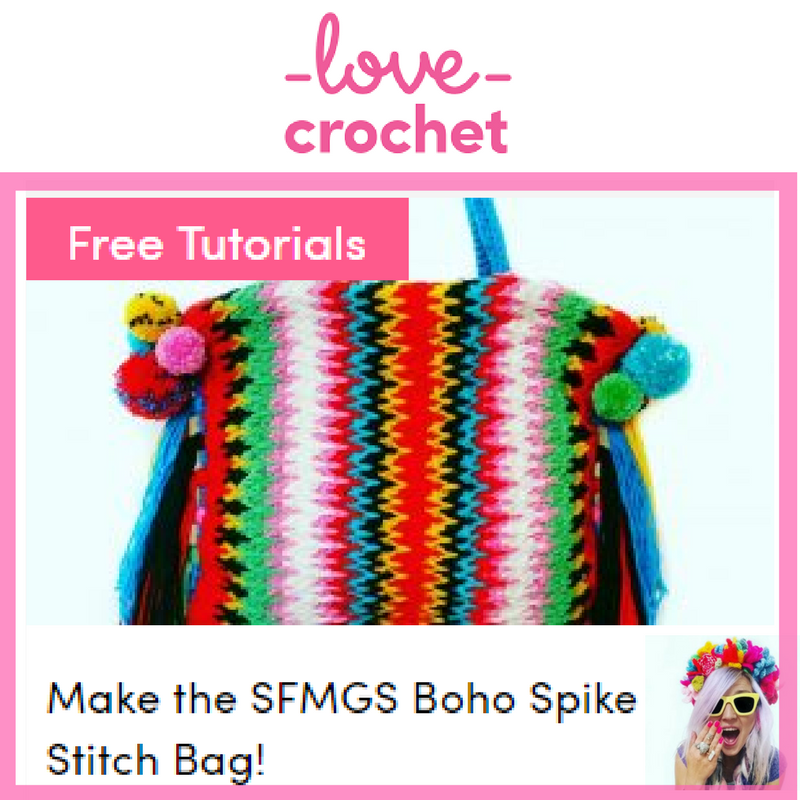 So I already shared a free crochet pattern of the week with you yesterday with my Freeform Crochet Sugar Skull Cocoon Cardigan but my Irish Heritage would never forgive me if I didn't whip up a little something for St. Patrick's Day. 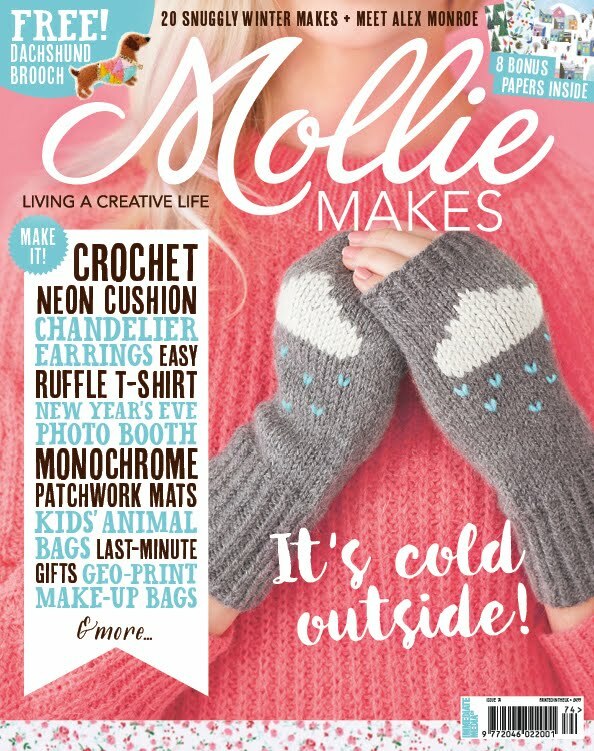 I used a 4.5 mm hook and +King Cole Ltd DK yarn. 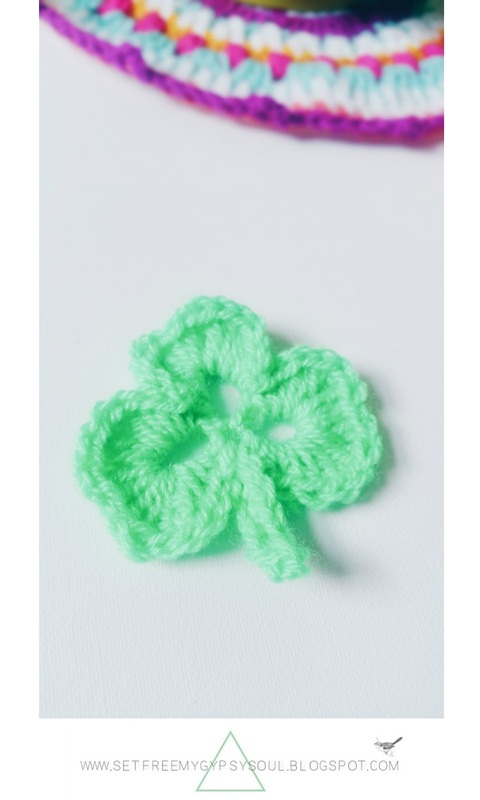 This makes a Shamrock around 2 x 2 inches. 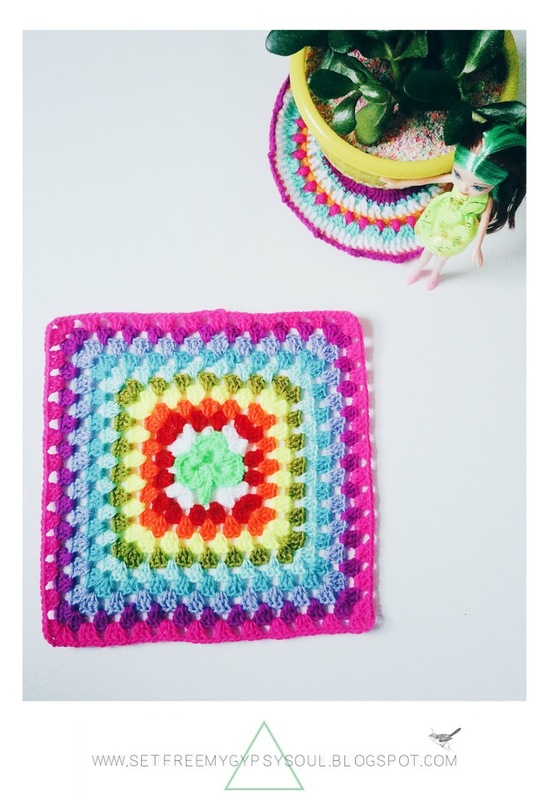 Make yours bigger or smaller by switching up or down the size of your hook and yarn. Dc (US single) again into the loop and chain another 5, followed by one more dc (US single) into the loop. You should now have 3 little loops like an 'M' shape. Tighten your loop, but not all the way, leave enough room that with a push you can get your hook back through it. 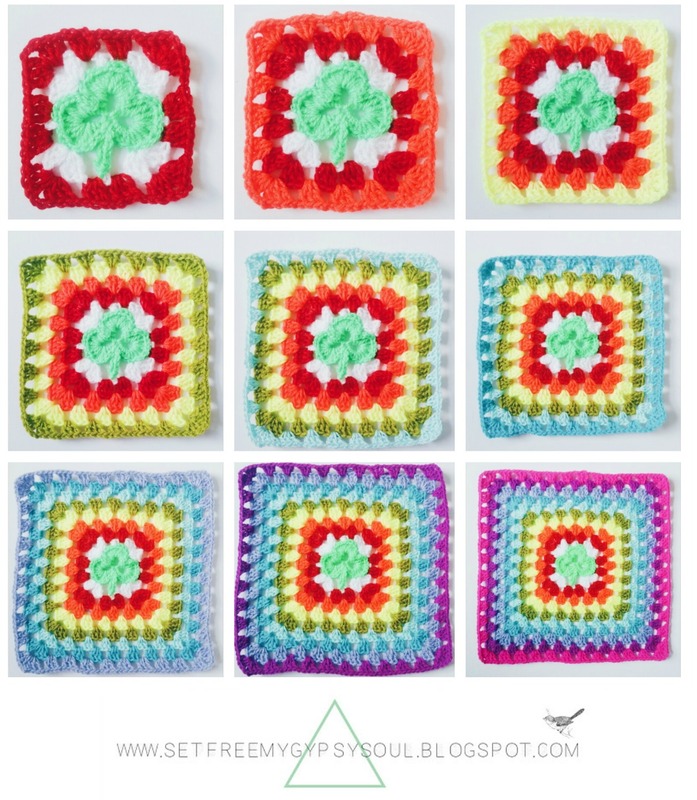 Make a double crochet (US single), 2 htc (US hdc), 3 tc and one triple treble crochet into the first of your loops. 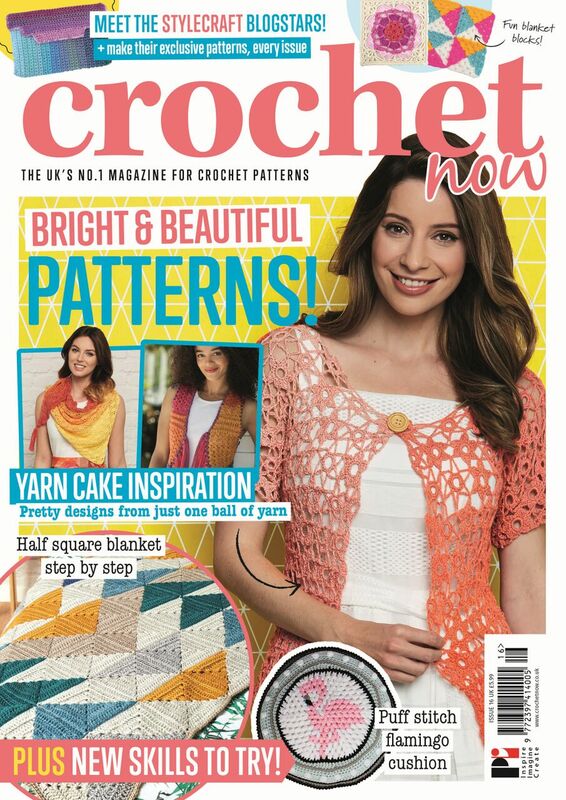 Then make 1 treble crochet (US double) and a htc (US hdc). 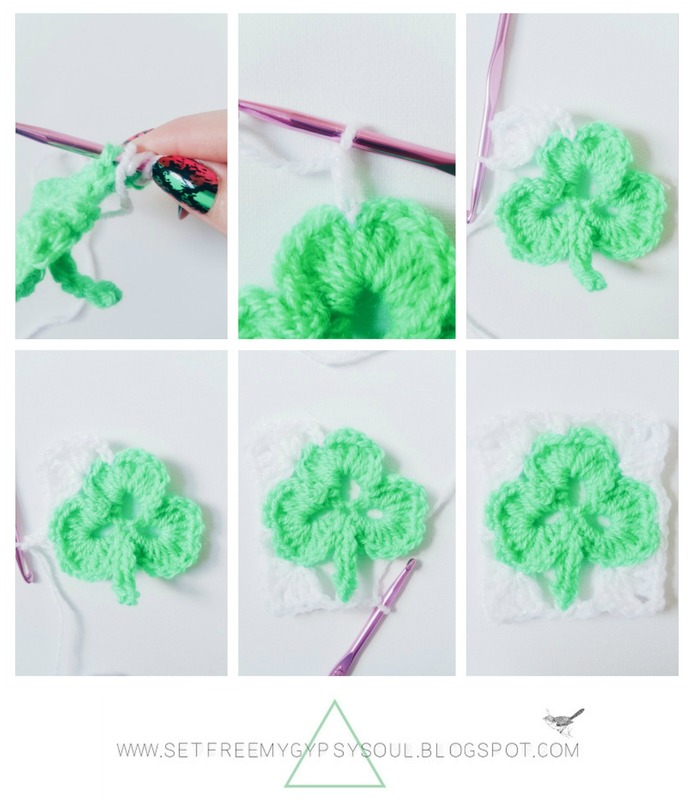 This makes the little dip in the middle of the leaf to give that cute clover shape. 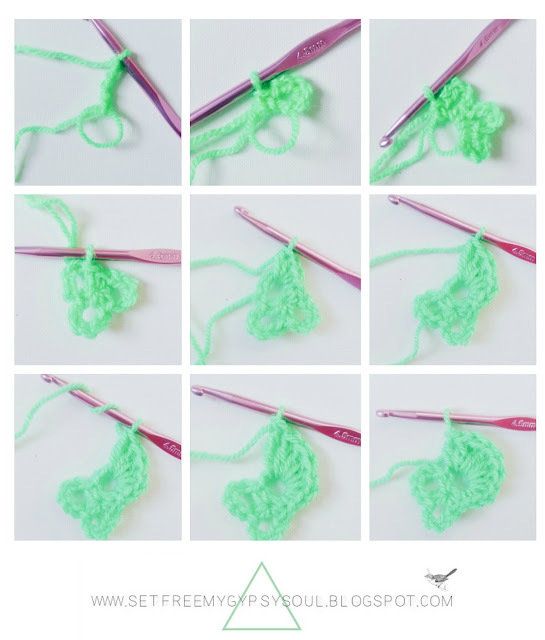 Make another treble crochet (US double), followed by a triple treble to get the leaf symmetrical and finish the leaf by repeating the other side in reverse so... 3 treble (US double) crochets, 2 htc and a double (US single) crochet. When you finish the 3rd leaf, join through the centre of your tightened magic loop with slip stitch as in the picture. If this sounds confusing, basically hold your yarn behind the Shamrock and stick your hook through the middle of it to pick up and pull through the yarn. 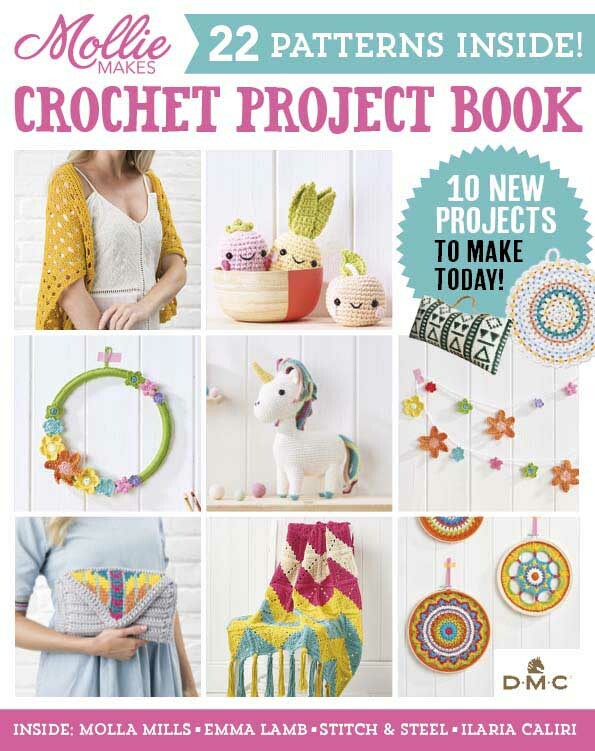 Now slip stitch again and chain 5. The 5th chain is for turning. Join to the body of the Shamrock with slipstitch into the centre again and weave in your ends! Make a whole bunch and string together to make garlands and decorations or read on to see how to turn these cute Crochet Shamrock Clovers into Lucky Rainbow Granny Squares. 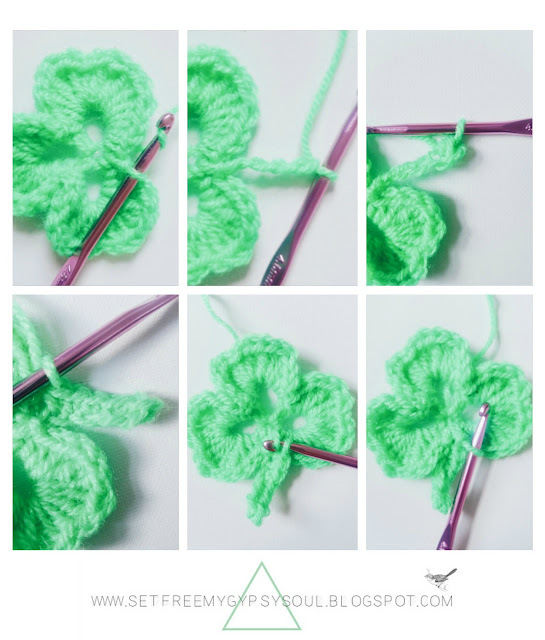 If you want to add a 4th leaf to make a lucky 4 leaf clover, just add an extra loop at the beginning before tightening your magic ring. 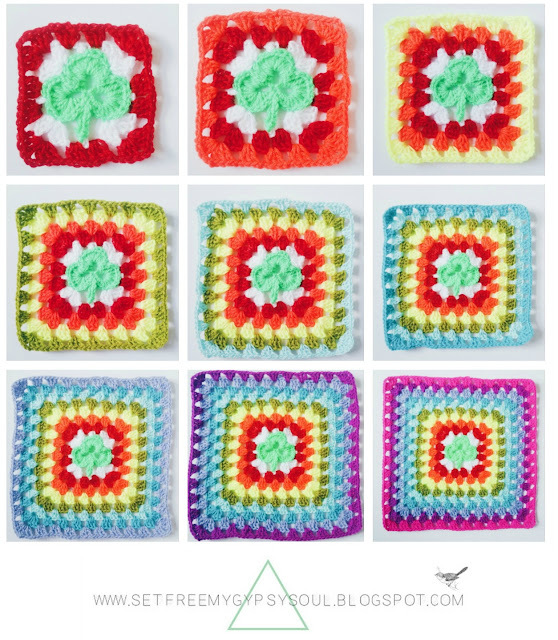 Now to add that lucky rainbow.... it's easy! 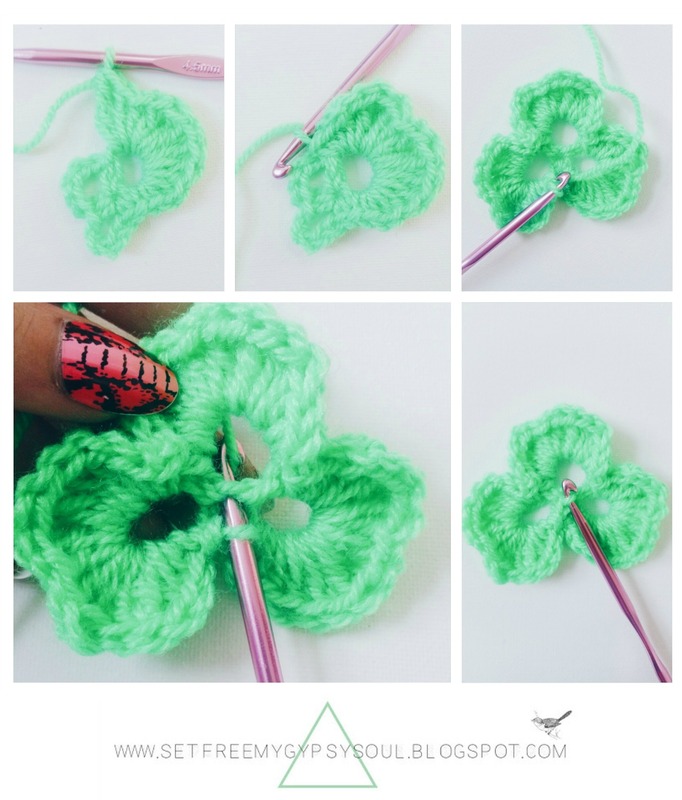 Make sure you insert your hook into the back loops only so you don't distort the shape of your cute Shamrock clover. 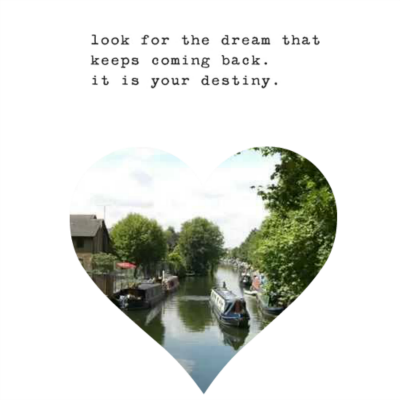 Starting with a dc (US single), then ch 2, followed by 3 trebles (US double), ch 2, 3 trebles (US double) to form the corner and so on all the way around. 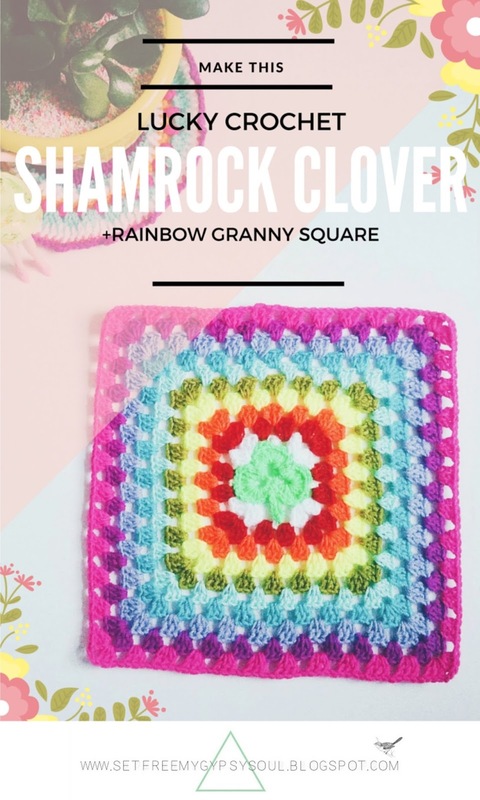 Use these cute Shamrock Lucky Irish Clover granny squares to make potholders, afghans and blankets, cushion covers or St. Patrick's Day flags. Wishing you all a wonderful St. Patrick's Day and hoping you find the pot of gold at the end of your rainbow! 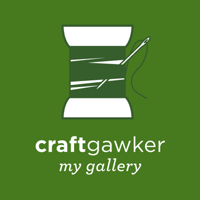 I sure would love to find one, that would make #PROJECTLIVEABOARD happen much faster!